Each of our shared hosting packages comprises a free-of-charge, Hepsia hosting Control Panel-integrated, single-click Applications Installer tool, which you can use to activate many popular scripts. It is very easy to use - you can launch your personal diary, Internet forum, CMS-powered site, image gallery or e-store with only 1 click of the mouse and you don't need to possess any web design competence. 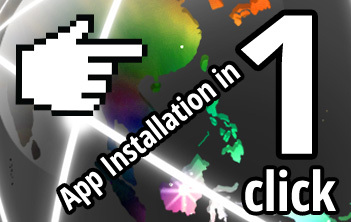 The charge-free one-click PHP app installer can save you not only time, but money as well. Engaging a webmaster to install a popular PHP script for you will cost you money. With us, you can install as many apps as you wish without spending any cash.